Cheers to the slow ways of life. Slow Food Asheville is proud to invite all foodies, slow food fans and neighbors to what we like to call, “Happy Hour.” This event was created to bring together a local chef with a local farmer. We pick their brains about who, what, why and how they successfully incorporate and make a living using slow food methods. Cost: Food will be provided by Slow Food Asheville. Drinks will be up to you to purchase. This event will close the 2018 annual heritage food project. 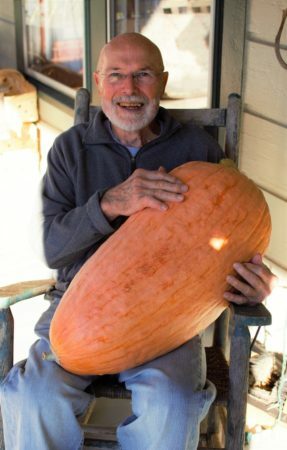 This year the group chose the North Georgia Candy Roaster Squash as the heirloom variety to highlight for the year. The goal is to promote as many folks as possible to grow this squash in their garden, eat the squash in delicious dishes and save the seeds for the future. 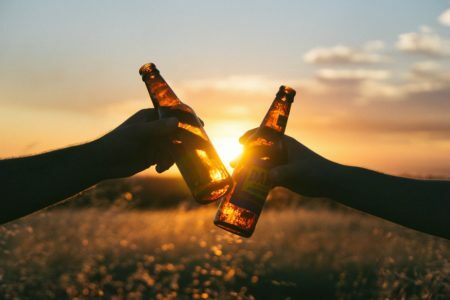 This year, Slow Food Asheville will be celebrating in a very Asheville way – with BEER. Slow Food Asheville and the team at Twin Leaf Brewery will collaborate to make a candy roaster beer. A potluck will take place alongside sipping of the fall candy roaster beer as well as sharing stories of gardening and saving seeds. We do hope you will join us for this one of a kind event. 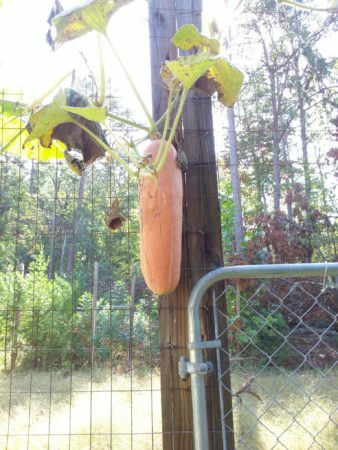 If you received free seeds from Slow Food Asheville as a part of this year’s Heritage Food Project to grow North Georgia Candy Roaster squash and actually grew the plant then we would like to ask if you would consider donating one fruit to Twin Leaf Brewery for our Candy Roaster Rendezvous celebration where a squash beer will be offered. Here’s where you can drop off this week no later than Friday, September 28! Twin Leaf Brewery at 144 Coxe Avenue on South slope in downtown Asheville. Hand over your squash to someone working at Twin Leaf and receive a coupon for a free beer the day of the event. OWL Bakery at 295 Haywood Road in West Asheville. Hand over your squash to someone working at OWL and receive a coupon for a free beer the day of the event. Noble Cider at 356 New Leicester Highway. Join us for the free Happy Hour event and bring your squash at the same time! WNC Garlic Fest was founded by Sow True Seed of Asheville NC with the aim of bringing the awesome world of garlic to the awesome people of Western Northern Carolina. Join us for the 5th WNC Garlic Fest for a FREE* celebration of all things garlic! A family friendly farmers market feel with a crazy amount of garlic. Join us on September 6th from 5:00 to 6:30 in the Lipinsky Auditorium on the UNCA campus for our 2nd Annual Community Seed Swap! Please drop in anytime from 5:00 to 6:30 with seeds and stories to trade, and ask any of the seed savers on hand whatever seed and garden questions you might have! Seed saving equipment, demonstrations, and stories about old seed varieties will be happening throughout the event. Seed saving is a culturally and ecologically important practice that requires much work and care. We want to honor the hard work of seed savers by being mindful and respectful of their craft. This is not an open seed giveaway. The event will be designed to allow for varying participation, including monetary donations in exchange for seeds as well as direct seed exchanges. There will be space for folks who want to bring their own seeds to swap and share. Slow Food Asheville is a local chapter, or “convivium,” of the international Slow Food movement. Local groups are called “convivia” because they bring together, in a convivial and enjoyable way, people who love food and traditions. Our convivium was founded in March, 2003. Help our all-volunteer chapter with a financial contribution. Safe, easy, and quick using PayPal or a card. We thank you for considering supporting our work in the community! & stay up to date with your local chapter! Are You A Member of Slow Food? Slow Food Asheville shared a photo. Slow Food Asheville is super excited to support Chris Smith and his new book, The Whole Okra. Want to get more involved in the slow food movement? Consider joining Slow Food USA for as much or as little as you can afford during Giving Tuesday. Are you interested in being a Volunteer?